Zócalo asked J. Peter Scoblic to write about the Cold War’s threat of nuclear annihilation for no more than 30 minutes, roughly the amount of time it would have taken Soviet ICBMs to reach the United States in 1983. Editor’s notes have been added to mark what would have been the fatal timeline during Peter’s writing—from the moment the General Secretary of the USSR and his military commanders ordered the attack to the moment the SS-19 missiles, among other models, would have begun raining down on our nation’s capital. 00:00 Soviet ICBMs launch, possibly from Kozelsk or Tatishchevo. The threats the Soviets posed to America and its vision of global order were at one level ideological, at another imperial, and at another existential. The first two threats were answered quickly. Our answer to communism was democratic capitalism and our answer to Moscow’s expansionism was containment. 00:01 U.S. satellites detect the Soviet missiles. By the late 1940s, with the circulation of George Kennan’s Long Telegram (and subsequent “X” article), the articulation of NSC-68, and the formation of NATO, the lasting shape of a response to the Soviet imperial threat had taken shape. There was to be no such tidy, rational response to the unprecedented existential danger posed by nuclear weapons, however. It was not simply a matter of vulnerability, but also a matter of deep uncertainty. 00:04 After confirming the satellite data, NORAD, the North American Aerospace Defense Command, notifies the designated White House “crisis coordinator” that an attack is underway. That person must then find and inform the president and convene an emergency meeting of top military and civilian advisers. The Cold War was more than an ideological conflict, it was a psychological conflict as well: A quest for a global anxiolytic. It’s hard, to this day, to grasp both the immediacy and durability of the nuclear threat. The Soviet development of nuclear weapons meant that for decades people in the United States lived with the knowledge that only 30 minutes stood between us and nuclear annihilation. That was obviously terrifying; it still is. But what made it even more terrifying was that there was no clear way to prevent or cope with this all-consuming threat. For one, we never really knew what the Soviets had, or when they had it. The American intelligence community woefully and repeatedly misjudged Soviet capabilities. To start, they underestimated how long it would take the USSR to develop an atomic device, leaving Washington scrambling when they it detected their first nuclear test in 1949. 00:09 Military officers brief the president on preplanned emergency launch options, which are detailed in a black binder inside the so-called “nuclear football,” carried by a presidential aide at all times to minimize response delays. The pattern continued in subsequent decades with unfounded fears of a “bomber gap” and then a “missile gap,” misreadings that highlighted more of an intelligence gap. Our knowledge of the Soviet nuclear program was inadequate throughout the Cold War, and only added to the climate of uncertainty. Not only did we not know what the Soviets had, we also didn’t know what their intentions were. Many Americans thought that it was entirely possible that Soviet leaders would launch an attack out of the blue one day. U.S. Air Force General Curtis LeMay, who headed Strategic Command, even came up with a bizarre metaphor to describe this uncertainty, suggesting that a “gnome in the basement” (presumably Khrushchev) might someday see the light, judge that “the correlation of forces is right,” and decide to launch an attack. The U.S. met this uncertainty by building more weapons, which perversely led the Soviets to do the same. The arms race would then start over again. 00:17 The briefing concludes, leaving the president about two minutes to decide how to respond. If there is any delay, U.S. ICBMs will be destroyed in their silos by incoming Soviet warheads before they can be launched for a retaliatory attack. Americans were also particularly worried about a nuclear surprise because we had been on the receiving end of conventional surprises. Pearl Harbor was still fresh in the national memory after World War II, and the attack had spurred the creation of the CIA. But the agency failed to predict North Korea’s 1950 invasion of the South, and we were caught flat-footed yet again. 00:19 The president selects one of the pre-planned options and communicates it to the Pentagon, which authenticates his identity and formats launch orders. This new intelligence failure led to the establishment of the Office of National Estimates—an office charged with compiling the best intelligence evaluations and using them to predict the future. But ONE failed repeatedly as well—most notably with a Sept. 1962 estimate that Khrushchev was highly unlikely to put nuclear missiles in Cuba because it would not be rational to do so. Uncertainty also marked planning for nuclear war: no one knew exactly what to do with the nukes we had. At first, the Air Force treated them as simply more powerful versions of conventional bombs, developing the anesthetically named “Single Integrated Operational Plan-62,” which allowed for a preemptive strike of over 3,000 nuclear weapons if the Soviets made an aggressive move. 00:24 The launch orders are transmitted to American ICBM crews via encoded Emergency Action Messages. 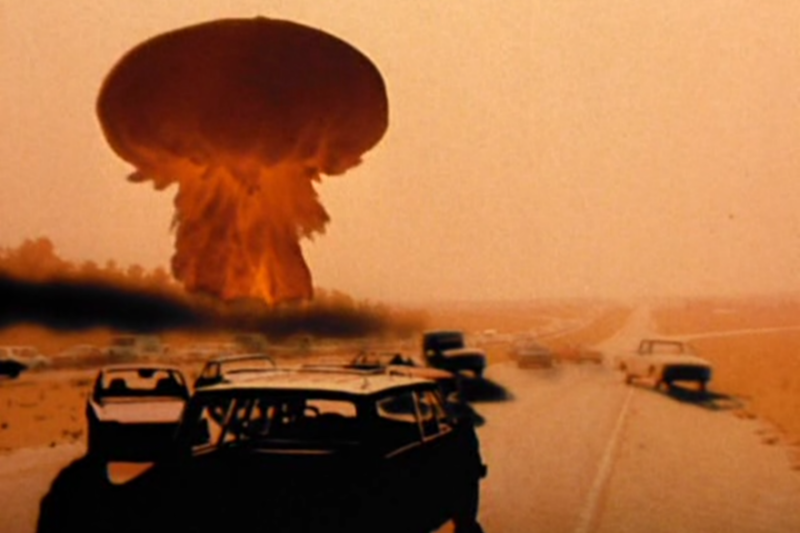 The prospect of nuclear war came at the same time that the military began using operations research and systems analysis to develop conventional war strategy. With these tools at hand, nuclear war at first seemed like just another problem to be solved with the careful application of scenarios and algorithms. 00:27 Having authenticated the EAMs, U.S. Air Force missileers begin the launch sequence. But there was no scenario under which nuclear war could be considered winnable, and attempts to secure certainty with more weapons eventually morphed into attempts to secure certainty through arms control. Both Russians and Americans seemed to recognize that the existential danger of nuclear weapons was a problem as great, if not greater, than those posed by ideology or imperial expansionism. The fundamental purpose of arms control wasn’t a reduction of numbers, per se, but the establishment of transparency, predictability, and stability—i.e., the antitheses of uncertainty. 00:30 Soviet warheads begin to detonate over the United States, destroying Washington, D.C. and killing millions. J. Peter Scoblic is a fellow in the International Security Program at New America and the author of U.S. vs. Them: Conservatism in the Age of Nuclear Terror. *Image still from The Day After (1983). Courtesy of YouTube.